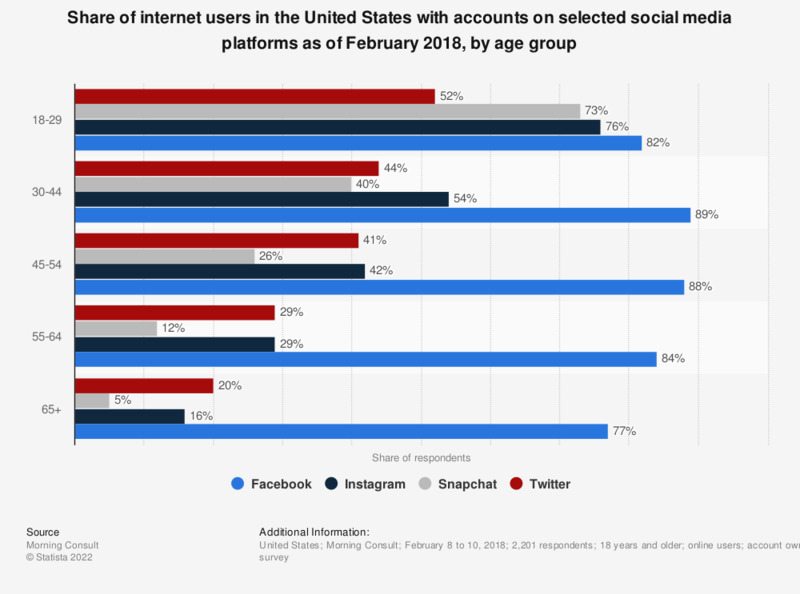 This statistic presents the percentage of internet users in the United States with accounts on selected social media platforms as of February 2018, sorted by age group. During the survey period, 82 percent of respondents aged 18 to 29 years stated that they had a Facebook account. Original question: Do you have an account on the following social media platforms, or not? What kind of art do you personally share or post any kind on social media platforms?